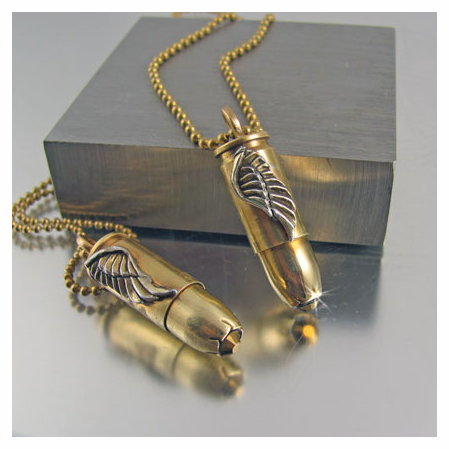 These matching bullet necklaces are made for a pair. Mother, son, husband and wife, best friends, sister and brother, whoever makes up a pair, anyone meant to be together. 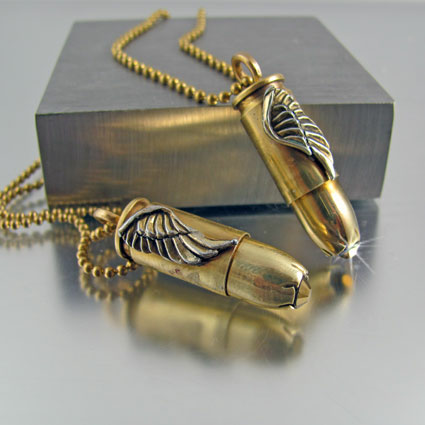 The wings on these 9mm bullet casing represent a pair, a couple, without each other they are not complete. Without each other they cannot fly to achieve the impossible. These are originals, exclusively made by me and available no where else unless they have been copied. The crystal tips can be customized with the colors of your choice. 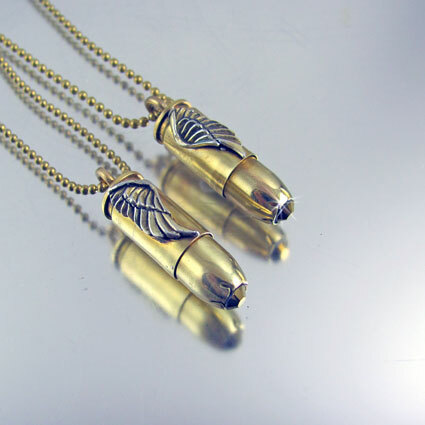 Shown with a Crystal Dorado color which is neutral and suitable for both a man and woman. 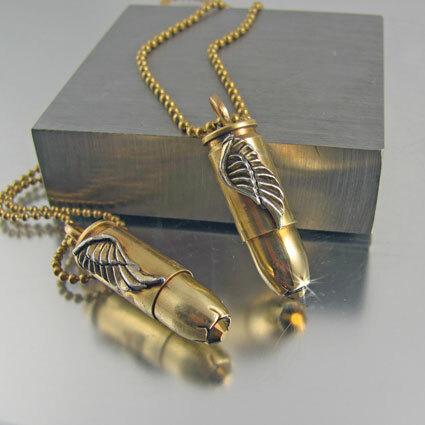 Each bullet necklace can be different, a birthstone or favorite color, the choice is yours for each one. 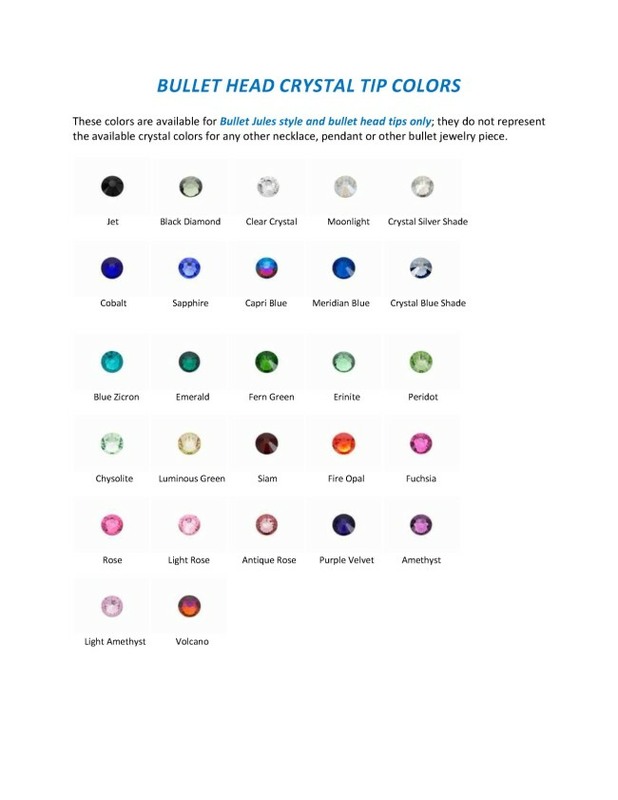 TO ORDER CUSTOM COLORS: Please pick your color from the color chart. In the comments section during checkout you must tell me what you'd like otherwise you will receive THE COLORS SHOWN IN THE ABOVE IMAGE.